Sugar, Golden Syrup, BUTTER, CREAM, Water, Flavouring: Lemon Flavouring (1%), Emulsifier: SOYA Lecithin; salt. 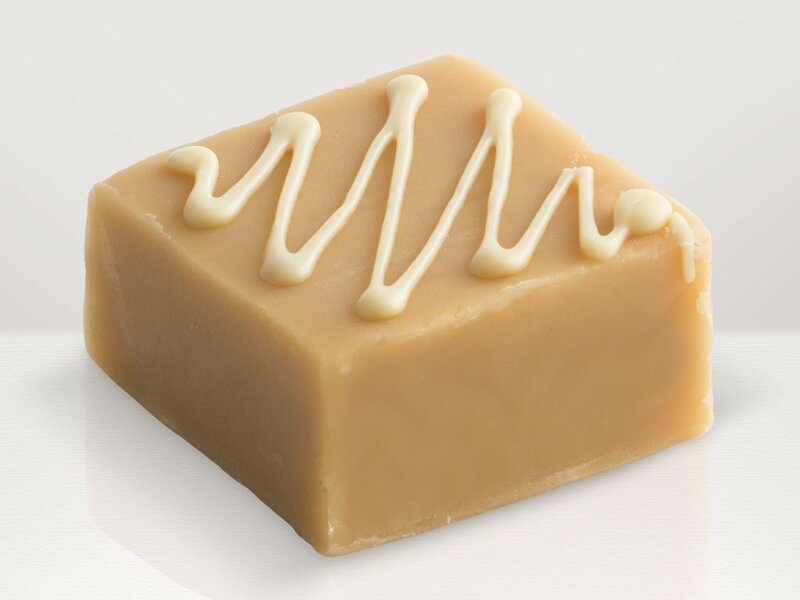 Drizzled with White Chocolate (MILK, SOYA). I confess that I've never been a big fudge fan, but I was so enthused with Fudge Kitchen's delectables that I just had to try them. 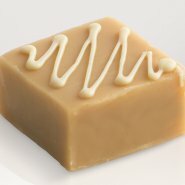 If you have a real sweet tooth, each type of fudge is uniquely tasty without being overwhelming.